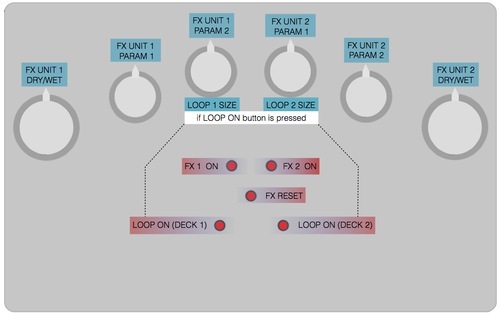 A macro for receiving OSC from Vavdo Knobs & buttons. 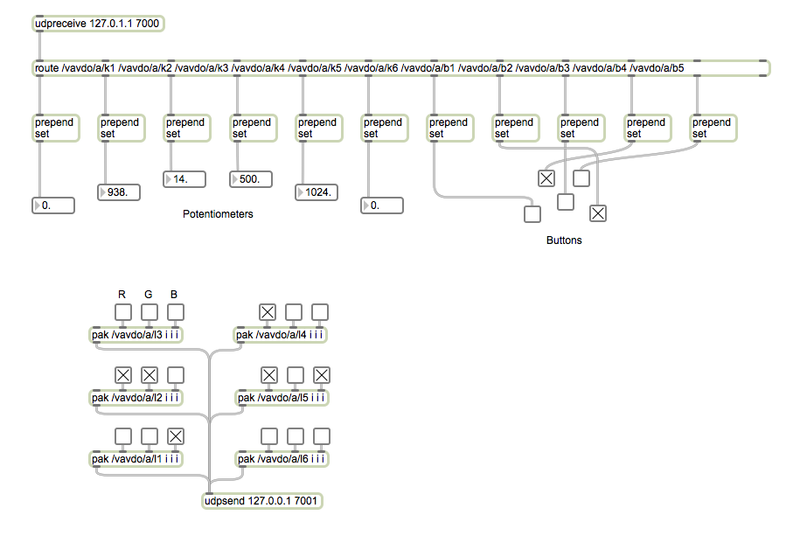 In this example we receive OSC data from Vavdo knobs and in parallel we send OSC data in the LEDs. There are 4 different patterns for rgb lights and you can change the speed of the patterns progression through knobs 3 and 4.  To run the example you must install the oscP5 library. Here is an example to simply receive OSC data from your Vavdo. The paths and the port are the factory defaults of Alpha controller. 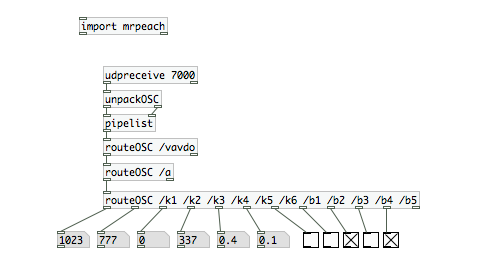 We used [import] for the mrpeach externals for OSC. So either you have to use pd-extended or add yourself the mrpeach externals. And this is a patch to send OSC to Vavdo’s RGB LEDs. Interesting stuff may come if you include metros or dependencies from knob’s & buttons or by automating functions and patterns. 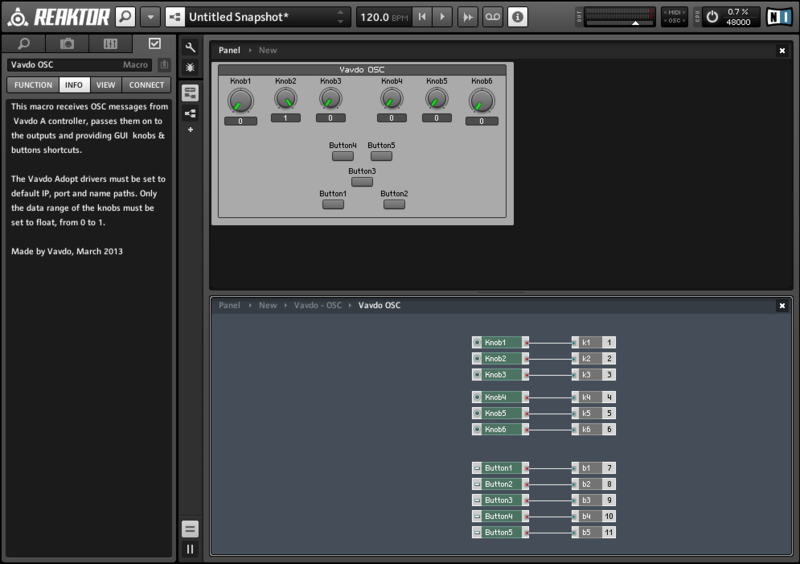 A mapping setup for controlling effects and loops with Vavdo A2.